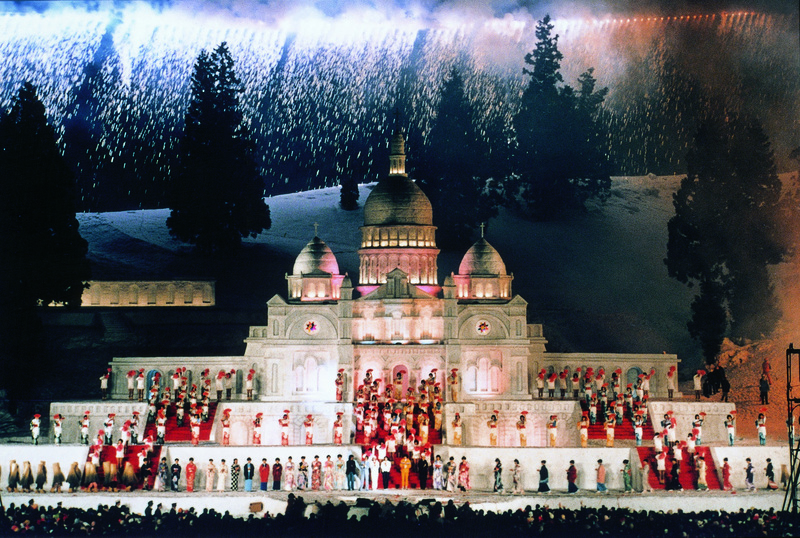 A snow festival, one of the pleasures of winter trips. Various snow statues created by the people of the snow country who fight day to day with living snow using the snow during the winter. Although the size of the snow festival is large and small, it is held everywhere in Japan. 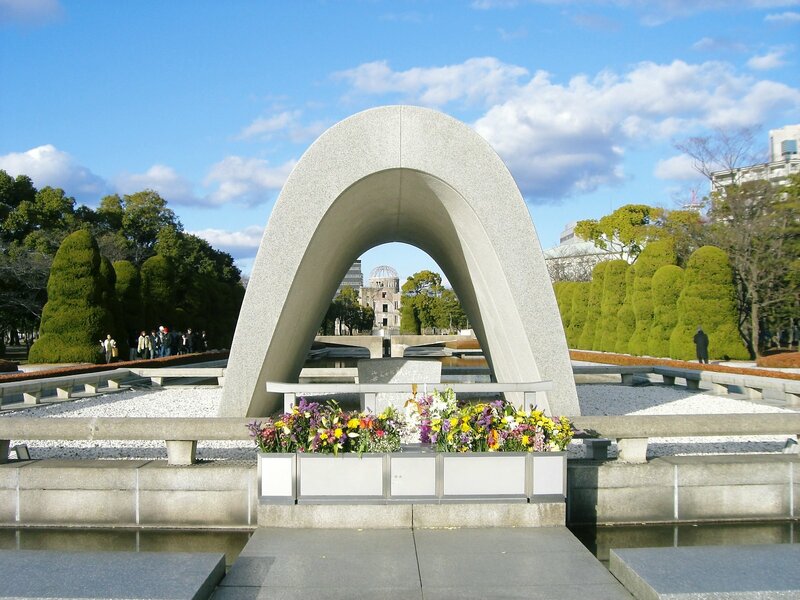 However, it is not well known where the snow festival to be held in a town originated. Actually the birthplace of a snow festival is Tokamachi City, Niigata Prefecture. At that festival, large and small snow sculptures filled with sights are overflowing in the town, and at the main event snow fireworks are also launched into the night sky. 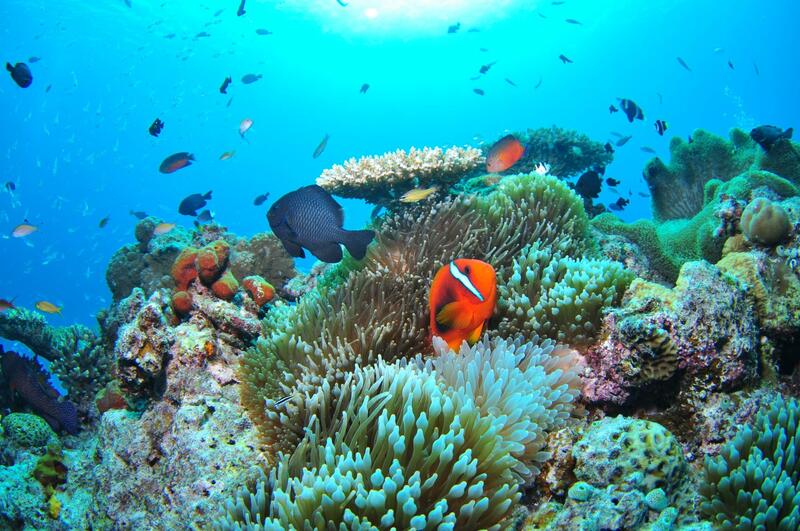 Tokamachi City is a city located in the Chuetsu region of Niigata Prefecture. On the northern side of Tokamachi City, the Shinano River, the longest river in Japan, flows and surrounded by the mountains, so in winter every year, it is a heavy snowy area where more than 2 meters of snow are piled up. 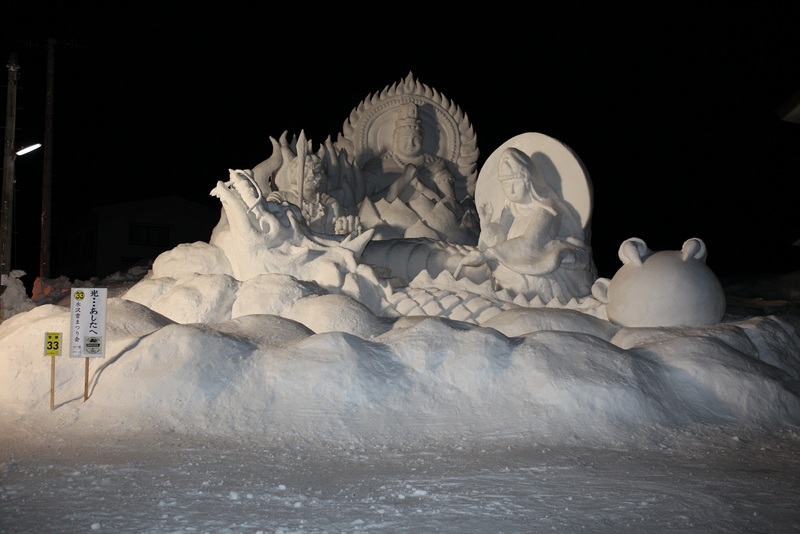 “Tokamachi Snow Festival” was born in Tokamachi, a heavy snowy area, from the feelings of local residents saying “I like snow and I enjoy snow.” In the festival, events and hospitality at “festival square” set up around the city and high artistic snow statues by citizen’s hands are created. 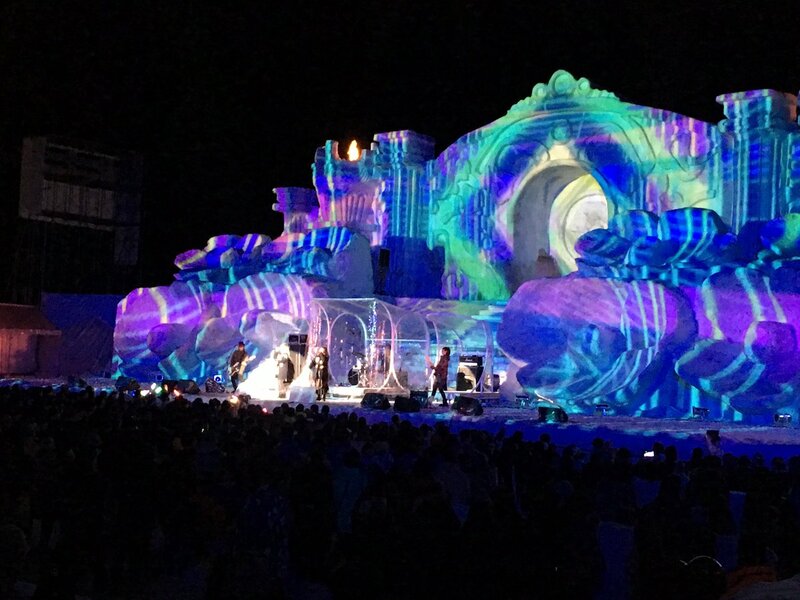 And it is a big event to color a midwinter Tokamachi such as “Snow Carnival” which is all carried out on the stage made of snow. 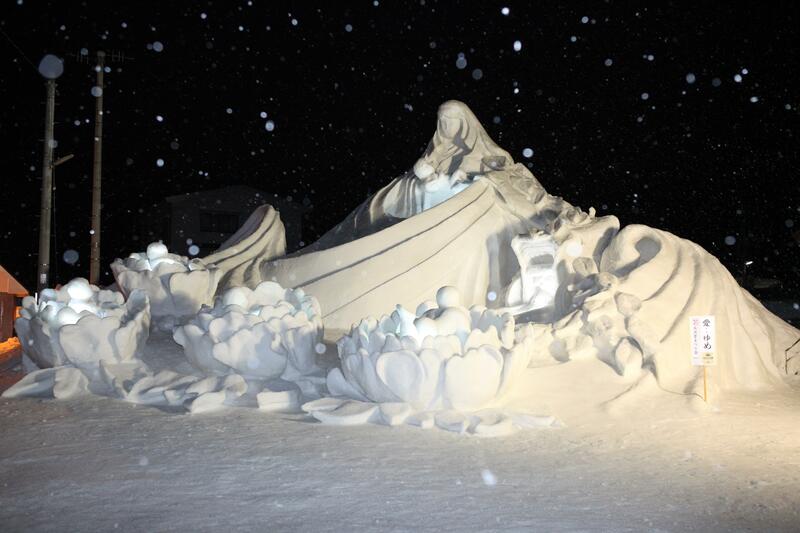 On the east exit of the JR Iiyama Line, a snow statue has been created as a “station front event square”. There are street stalls, too and it is very busy. There are also snow festivals that take place throughout the town, and snow statues are built everywhere in Tokamachi City. There are small snow statues on the eaves of the shopping street, multiple big snow statues appear in a big space called “Hiroba” (square) like “station front event square” and “community square” using Tokamachi High School ground. Although it takes time and effort to prepare for snow and a solid warming countermeasure, please try experiencing the Tokamachi Snow Festival which is unique in winter’s heavy snow area. In every year around the end of February, the “Tokamachi Yuki Matsuri” (snow festival) is held in Tokamachi-shi, Niigata. In this festival, many event like “The snowy work of art” by local inhabitants, “The festival open space” which is popular as its warm hospitality, and “The snow carnival” with spectacle of the sound and the light, are performed. 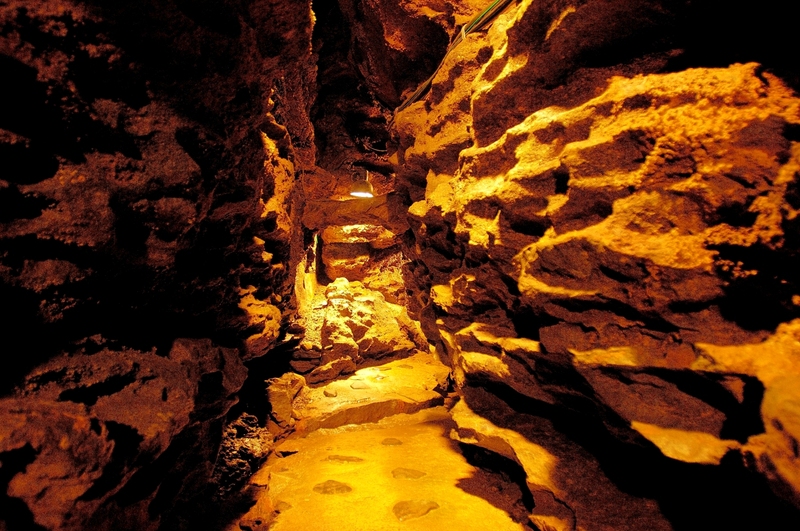 Speaking of snow festival, it might remind you “The Sapporo Snow Festival” or “The Otaru Snow Light Path“. But actually, the birthplace of modern snow festival is not Hokkaido which held Sapporo and Otaru, it is said that Tokamachi, Niigata is the cradle. On February 4 1950, it is considered that local residents led the way of the beginning as a ski relay race, a snow statue exhibition and a snow carnival. They consider the heavy snowfall, which is always around 3 meters deep there, is advantages, and in three days, three-hundred thousand people come to visit this snow festival which was born from the thought of local residents “to assume snow a friend, and to enjoy snow”. 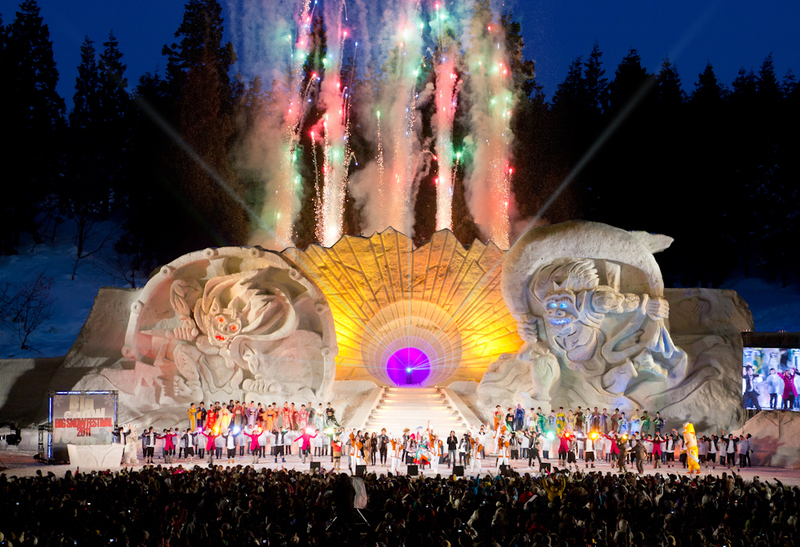 Above all, the main event to be said “the snow carnival” is performed on a big huge snow stage, that was certified by Guinness World Records for a time, and overwhelms visitors.